If you have multiple teeth missing or have multiple teeth that need to be removed, it is important to do something about the spaces left behind by the missing teeth. While most people know about single tooth implants, few realize that multiple tooth implants are also possible. 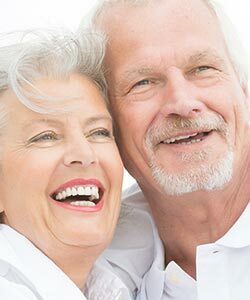 At Loop Perio, we offer a range of options when it comes to dental implants for advanced dental care. All it takes is one call to set up your consultation appointment and to get started on the path to a healthier and better-looking smile. After your initial examination at your consultation appointment, you will need approximately around 4-5 additional visits to take care of all the steps involved in implant placement. The procedure is quick and easy in comparison with other dental treatments, and recovery is also much easier for most people. Any discomfort is usually short-lived and will fade within a week once healing is complete. Follow up appointments will be set for a week after the treatment is complete to ensure you are healing well or to address any issues that may arise. The course of treatment described is one of several options available. Consult your dentist to find out what the best solution is for you given your specific condition and your type of dental implant. Before the procedure- You will get a full mouth evaluation to assess all your dental needs and concerns and to determine the type of multiple tooth implant treatment that is best for you. Installing the implants- When it comes to multiple implants, our team will create implants and custom prosthetics that will give you the look and feel of real teeth. Attaching the bridge- The implant posts are set into the jaw. Once the jaw has healed, the bridge prosthetics will be attached by your general dentist or prosthodontist giving you a healthy-looking smile. End result- The multiple tooth implants will function just as natural teeth if taken care of properly. To learn more about multiple tooth implants and what they can do for you, give us a call today and see the Loop Perio difference for yourself!